You are here: Home / CELEBRATIONS / Holidays / Happy Fall Y’All SVG Files – FLASH FREEBIE! Fall is my favorite season of the year, so it’s time to celebrate with these fun Fall SVG files! Perfect for making DIY shirts, custom mugs, homemade gifts and more! Plus I’m giving you all a FLASH FREEBIE fall design! Get your Fall DIY on with these Fun Fall SVG Files and More! Fall has always been my favorite season with summer a close second behind. I love the being able to somedays where a cute dress outside and the next be bundled up in my favorite sweater. I love sipping on warm apple cider or peppermint hot chocolate, and I love sitting by a fire outside. Plus, Thanksgiving is my favorite meal of the year food wise hands down. 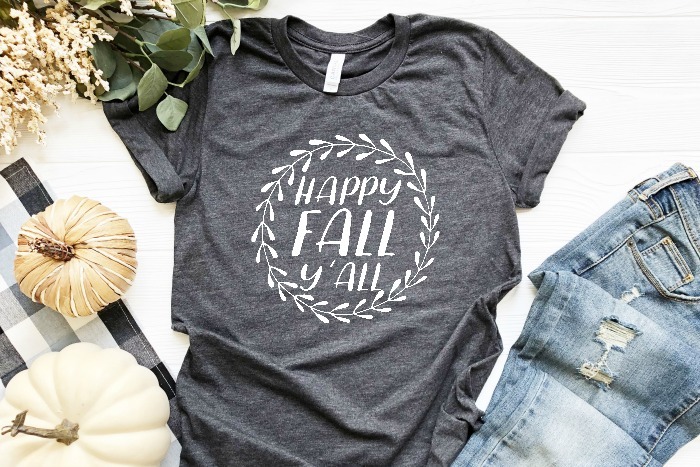 With my growing belly for baby #2, I’ve been having fun making a few easy maternity shirts to have in my closet, including DIY fall shirts using these fall SVG designs! I also have plans on making a fall mug for myself and my husband using the Pumpkin Spice design because we are definitely pumpkin recipe lovers with my pumpkin scones coming in as my fave pumpkin recipe. 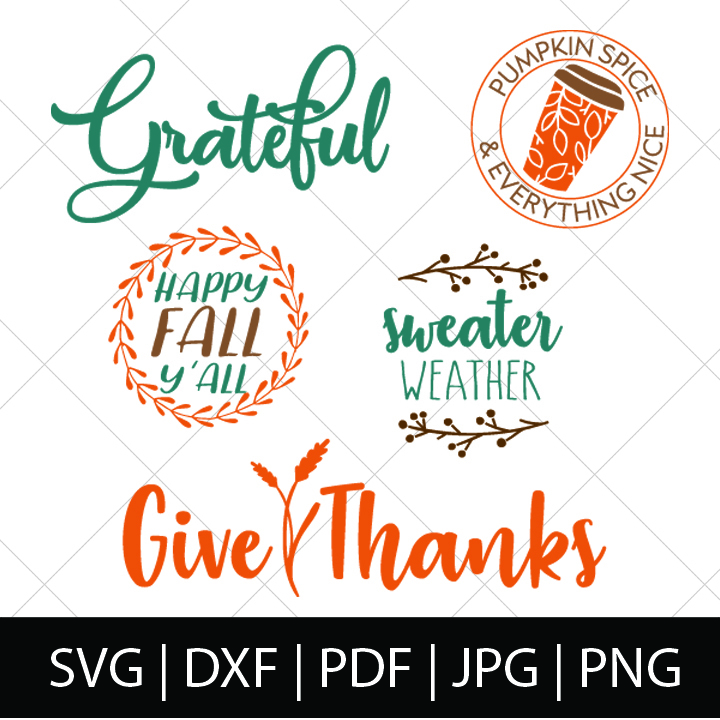 BUY THE FALL SVG FILE BUNDLE NOW AND SAVE! So as we hang on to the last remnants of fall, make sure to get these designs! I’ve provided all of them as PDF and JPEG if you want to print and frame them for your holiday decor OR, of course, use the SVG file with your Silhouette Cameo or Cricut Explore to make shirts or mugs!